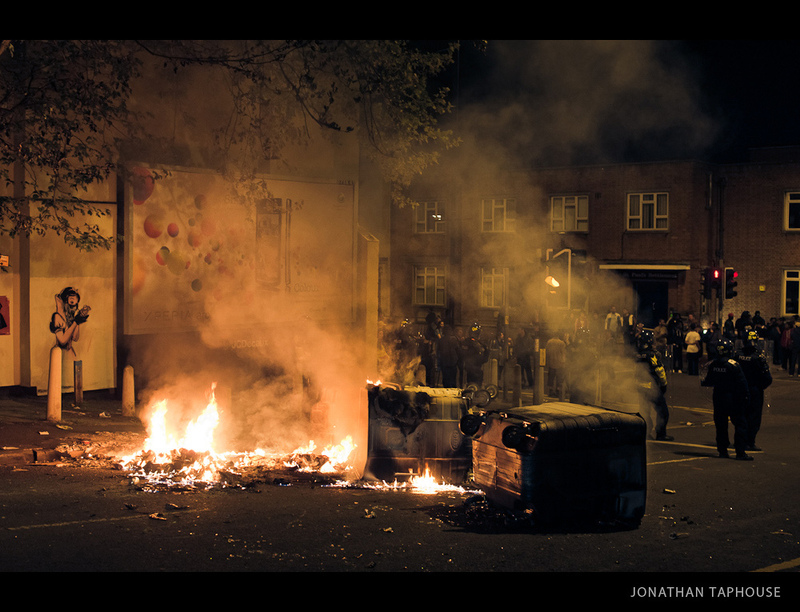 On 21st April, 2011, there was a riot in the Stokes Croft area of Bristol, because the police entered an established squat, named ‘Telepathic Heights’, with the intention to evict the residents. SNOW WHITE TOOK PART OF IT ! In this hard days where freedom of speech is fading away more and more each day, “WE” the people have to stand up and shout for our liberty. Hopes to all the artists who are persecuted in the world !!! 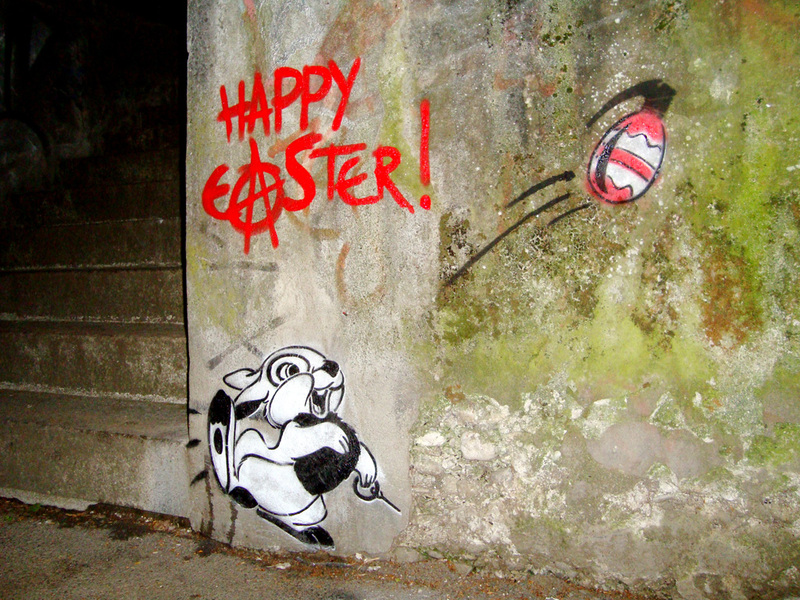 3 days later Panpan the rabbit resurrects the spirit of revolution ! 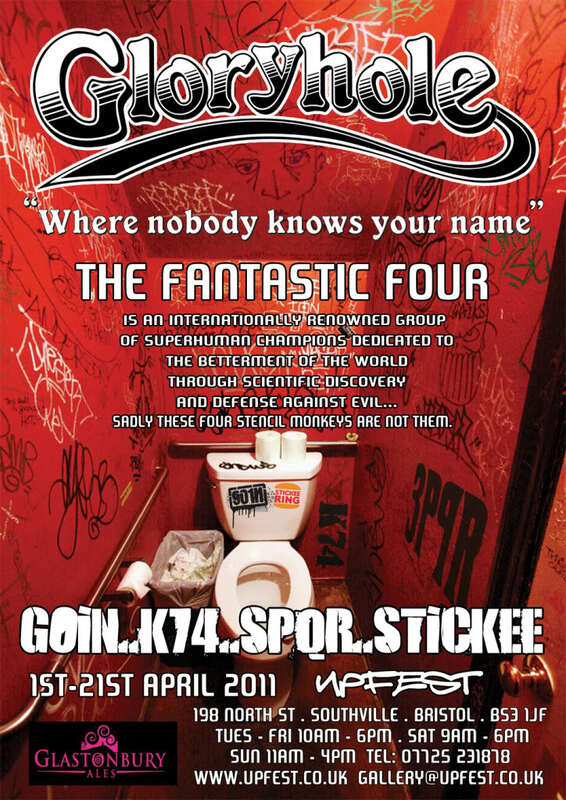 If you’ve been hibernating this winter, this is the time to don your slacks, grab some garlic and head down to southville in your Rolls Royce, you will not want to miss this show from these fantastic four experimenting artists.